Our school was founded by individuals who believe that every person is created in the image of God and should be allowed, encouraged, and mentored to develop the unique qualities and talents with which each has been endowed. Imago Dei is a Christian community whose mission integrates spiritual formation into all aspects of the educational experience, weaving it into the overall curriculum and life of our school community; specifically, through community worship, weekly religion classes, a community service class, and additional service-learning projects, all integral parts of our school culture. Imago Dei students engage in religious formation and study that is meaningful, academically substantive, and age-appropriate, and that provides instruction in the Christian tradition, while fostering dialogue with other faith traditions. Imago Dei invites all who attend and work here — Episcopalians and non-Episcopalians, Christians and non-Christians, people of no faith tradition—to seek clarity about their own beliefs and religions and to honor those traditions more fully and faithfully in their own lives. 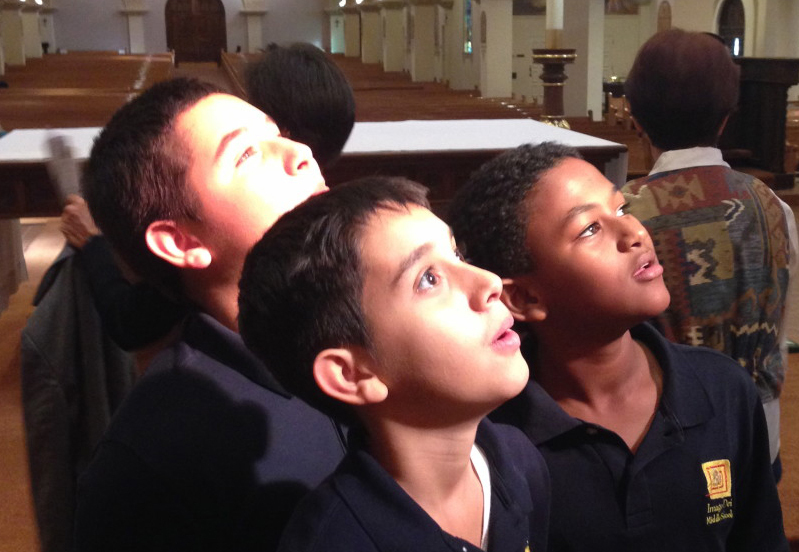 In addition to cultivating students’ ability to engage in intellectual inquiry and examine their commitment to social action and responsibility through our programming, Imago Dei engages in community worship that is creative, inclusive, draws fully upon the liturgical resources of the Episcopal Church, and is a regular part of school life for all faculty and students. Our school worship practices nurture spiritual growth and the habit of reflection because in our chapel students pray together, listen respectfully to one another, and engage in contemplation and discussion of personal and social morality, responsibility, and action.